The only masking and painting tape treated with PaintBlock technology, FrogTape Delicate Surface and FrogTape Multi-Surface both contain a super-absorbent polymer that reacts with latex paint to form a micro-barrier that seals the edge and prevents paint from bleeding. Offers light adhesion on freshly painted walls that are dry to the touch. Perfect for use on wallpaper, faux finishes, and primed drywall. 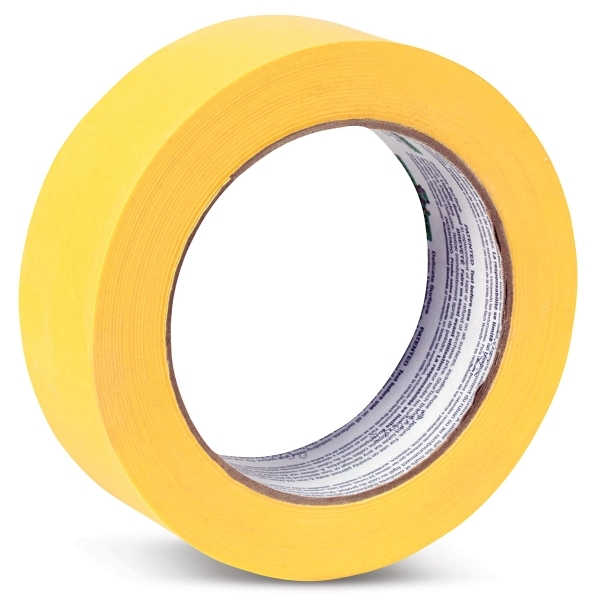 FrogTape Delicate Surface can be safely left on surfaces for up to 60 days. ® ShurTech is a registered trademark.® FrogTape and PaintBlock are registered trademarks.